The Lederam W ø25 cm by Catellani & Smith is a hand-made ceiling light that has an artistic touch to it. 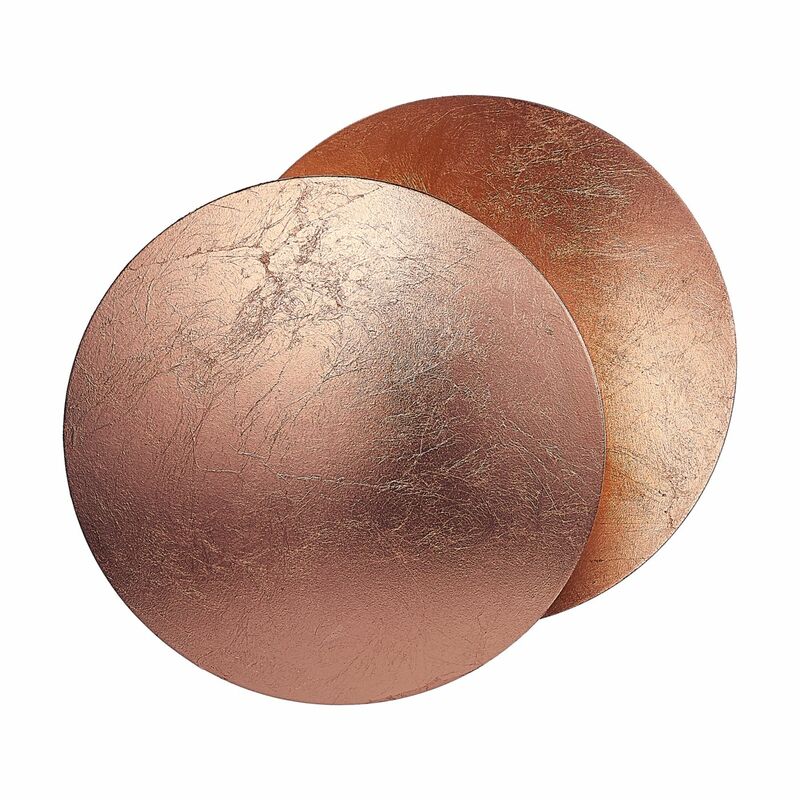 Both aluminium discs are 25 cm in diameter and covered with various metal foils. By applying the noble metal by hand in a laborious process, a special texture is created which resembles the filigree veins of a leaf. The discs are connected by a hinge made of nickel. The wall bracket is also made of high-quality metal. Furthermore, the Catellani & Smith Lederam W ø25 cm is available in many different combinations, which all create a certain flair. Especially the versions with gold leaf and copper leaf have a nearly touching effect on the viewer. In addition, there are also versions with black or white metal foils. The illuminant is well hidden behind the outer disc. Enzo Catellani designed the Lederam W ø25 cm Wall lights for the manufacturer Catellani & Smith. The Catellani & Smith Lederam W ø25 cm provides indirect light. 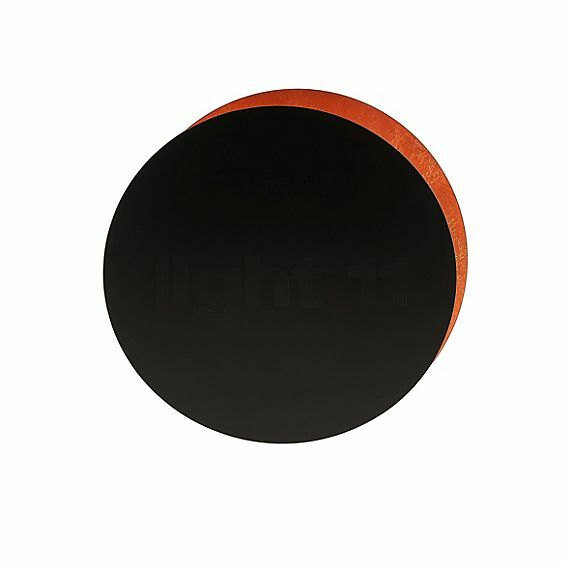 The embedded illuminant on the inside of the outer disc shines its light at the wall-mounted reflector, which turns it into harmonious ambient light. However, the key feature is the hinge between the discs, which allows you to rotate and swivel the outer disc as you like. The different reflections and angles of incidence result in many fascinating lighting scenarios. You may, for example, simulate a partial or total solar eclipse. The integrated LED module of the Lederam W ø25 cm is highly efficient. It only needs 17.5 watts to generate a luminous flux of 1,590 lumens, which is far more than that of a 100 watts incandescent lamp. Tell other customers and us about your experiences with the Lederam W ø25 cm ! The soft, indirect ambient light of the Catellani & Smith Lederam W ø25 cm is well-suited to illuminate a hallway. There, the wall light provides a pleasant base lighting, which gives both the residents and guests a warm welcome. Moreover, with its extraordinary appearance, the Lederam is a real eye catcher and the icing on the cake of any interior design concept. The wall light by Catellani & Smith also really comes into its own in the living room or bedroom as it provides an atmospheric lighting and contributes to the decoration of the room.